The company, which today released its December quarter update, shipped its first cargo of the 60.1 per cent grade West Pilbara Fines to China in December 2018. It shipped multiple cargos from the Pilbara during the period, drawing positive feedback and strong interest from customers in China and other markets. 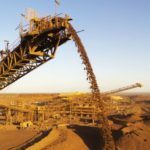 The miner now expects to deliver between 8-10 million tonnes of the product in the 2019 financial year, an update on the previous 5-10 million tonne estimate. Fortescue creates the product by blending higher iron, low alumina ore from the western pits at Cloudbreak with ore from its Firetail operation. West Pilbara Fines made up just 1 per cent of the 42.5 million tonnes that Fortescue shipped in the December quarter, but that percentage is set to climb significantly in the coming years. “Initial customer feedback has been excellent and we look forward to supplying 40 million tonnes per annum of West Pilbara Fines from December 2020, once the Eliwana mine and rail development project has commenced operations,” Fortescue chief executive officer Elizabeth Gaines said. 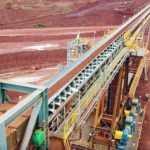 The $1.7 billion Eliwana project, approved by Fortescue last May, remained on schedule during the first half of the 2019 financial year. 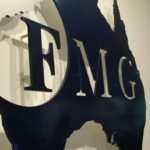 Fortescue’s shipments reached 82.7 million tonnes over the half year after a 6 per cent increase in the December quarter. Its average realised iron ore price also increased, improving on the $US45 ($66.24) per dry metric tonne result in the previous quarter by 7 per cent to $US48. The company’s cash costs decreased to $US13.02 per wet metric tonne from the $US13.19 it recorded in the September quarter. Fortescue has maintained a 2019 financial year shipment guidance of between 165-173 million tonnes.